Where angels refuse to fly .... 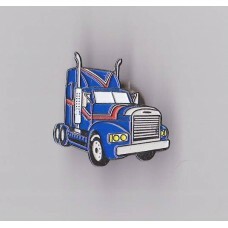 Merit Medal for unique individuals, for their exceptional service, f..
Pin brooch depicting a grand American truck tractor. 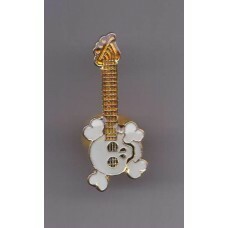 The frame in silver and is enamelled in white, ..
Pin brooch depicting an electric guitar with a skull and bones shaped body. Piratesca guitar, or roc.. 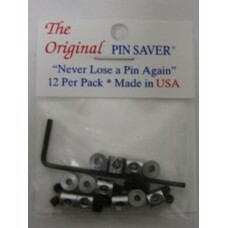 Pack containing 12 pin locks, pin savers with a small key to lock them in place. This is "The Origin..